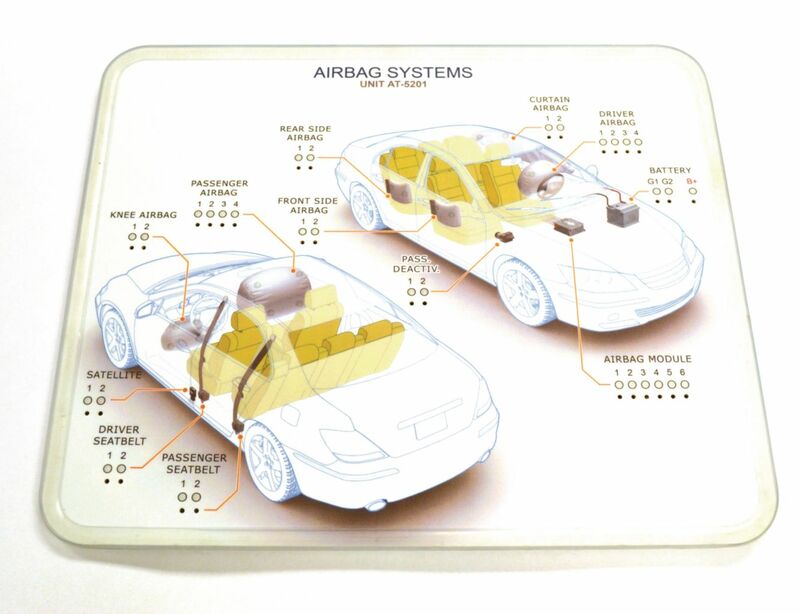 This comprehensive instructional module plugs directly into the Advanced Autotronics Simulator workstation designed to train students on modern automotive airbag safety systems. The topics covered on this board include: Airbag construction and operation, pyrotechnic seatbelt actuation, airbag electronic control unit, accelerometers, passenger and driver dual detonator airbags, knee and curtain airbags, satellite side impact sensor, passenger deactivation switches, and troubleshooting exercises. The simulator comes with interactive courseware which contains essential theory enhanced with vivid simulations, guided exercises that interact with the Airbag Systems simulator, guided diagnostic exercises and self assessment exercises.